On September 9, 2011 at 6pm, the Clocktower presents Dan Friel of the Brooklyn=based experimental rock/noise rock band Parts & Labor in a performance with guest Karen Waltuch on viola. Using his patented ability to morph squealing keyboards into surprisingly catchy anthems, Friel pushes the boundaries of both noisenik audio art and punk. At his Above the Law performance at the Clocktower, Friel will be preforming new and improvisational work. This event is free and open to the public. 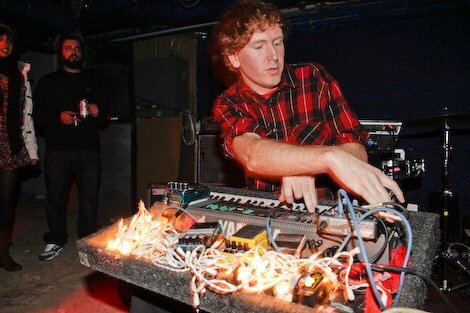 Listen to a track by Dan Friel here.